See more objects with the tag metallic, science, tool, health-care, angular, sharp, cutting, medical, surgical, pointed. 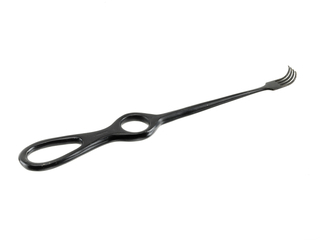 This is a Noyes Alligator forceps. It is dated ca. 1950. Its medium is stainless steel. 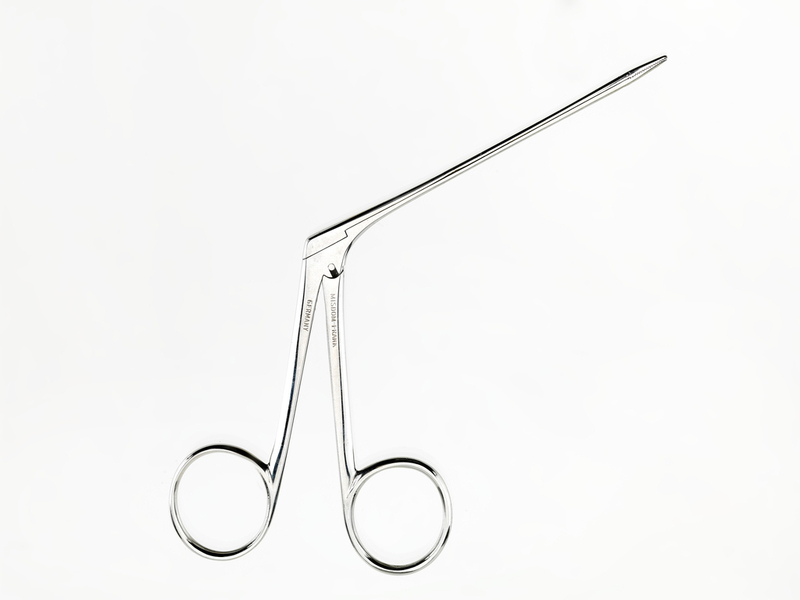 The Noyes alligator forceps is named for its inventor, Henry D. Noyes, a prominent professor of ophthalmology and otology at Bellevue Hospital in New York. 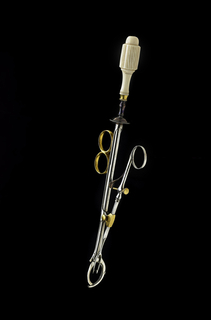 His forceps first appeared in 1879—its alligator-shaped jaw a response to his need for an unobstructed view. 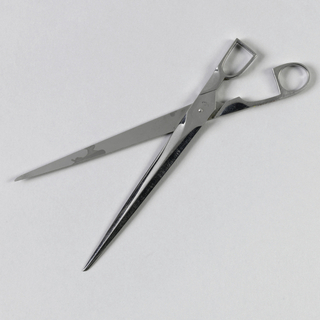 And, indeed, because of the forceps’s slender arms, it can be used with a speculum. 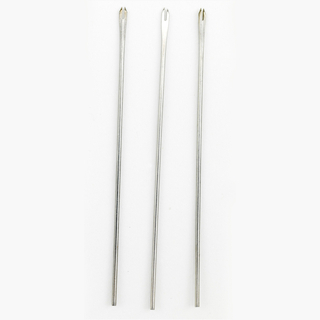 These forceps are made of stainless steel, a non-corrosive metal developed by researchers in Germany and America in the early twentieth century. Before this, hybrid instruments made with wood, ivory, and stone handles dominated. But as the germ theory put forth by Louis Pasteur in the 1860s was accepted, all-metal instruments, which could be sterilized, slowly replaced earlier tools. The first stainless-steel instruments began to appear in catalogues around 1929. 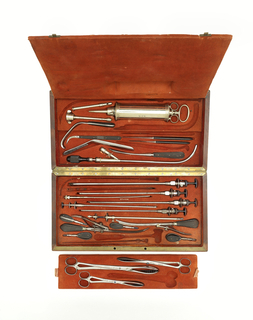 An otologist named Dr. Julius Lempert donated this forceps set to the Division of Medicine and Science at the National Museum of American History in 1961. It is credited Smithsonian Institution, National Museum of American History, M-09857.